15 British Columbia school districts will be in Toronto this Friday with the intention of luring Ontario teachers back West. With a shortage of teachers and opportunities province-wide, Toronto teachers will be surprised to learn how favourable their job prospects are in British Columbia. If you browse through the job listings on Makeafuture.ca today, you’ll find 315 teacher job openings. You’ll also discover that 183 of these jobs are full-time teaching positions! These jobs are not only in rural and remote communities, they are also in the Metro Vancouver area and other urban city centres. BC is known for its great weather, outdoor recreational opportunities, and world-class cities, which makes it a great place to work and live. This is why the province has always been a preferred destination for Canadian teachers. 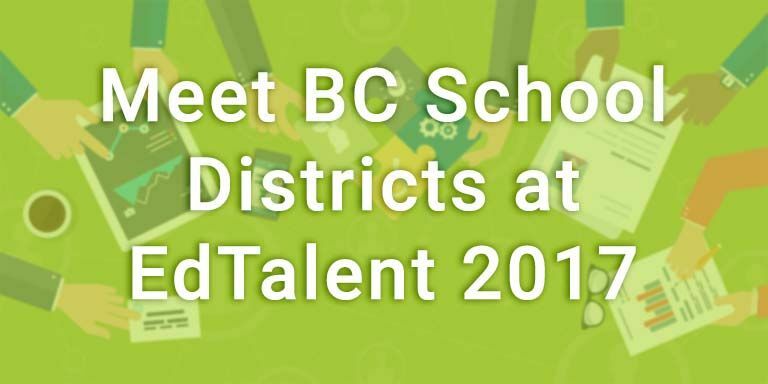 Learn more about BC public school districts.